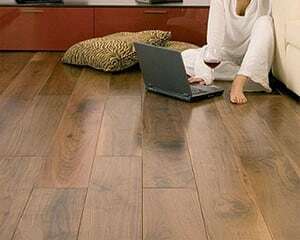 If you’ve been thinking about wooden flooring for your home then the chances are that you will have been wondering what kind of floor you should choose and which wood you should select. We think that once you’ve found out about the benefits of engineered exotic wood floors your decision will be easy. 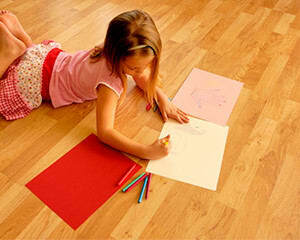 Let’s start with what kind of wooden flooring. You really have three options: laminate, engineered and solid. Well it’s the cheapest option available but it’s not really wood. Many discerning homeowners feel that it looks manufactured and bland. That’s probably because the manufacturing process actually prints the wood pattern onto paper and bonds it to a substrate of HDF before sealing it inside with a laminate coating. 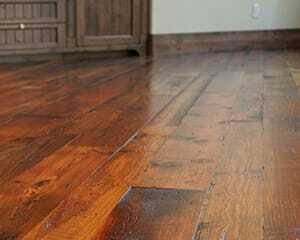 Laminate floors are moderately hardwearing but do scratch quite easily and cannot be refinished. Damage the floor through wear and tear or by accident and you’ll need to replace it. Solid wood floors sound aspirational and do have some real benefits, but they also have some serious drawbacks. They’re the exact opposite of laminate floors – they’re real. In fact, they’re the most real that you can get. They can be refinished and will last a very long time. The problem is that they are extremely expensive, use an excessive amount of wood and, because they are solid, they change shape over time and can be prone to cracking and warping. They also require significant maintenance and are prone to expansion and contraction – particularly during hot spells. They are also not a great material to combine with underfloor heating which can accelerate the natural stresses in the wood. You guessed it! There is a perfect medium that is a combination of the previous two options. 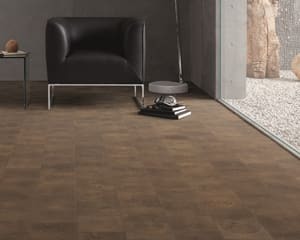 Clever engineers realised that people want the affordability and stability of laminate floors but also wanted the real finish and longevity of proper wood. 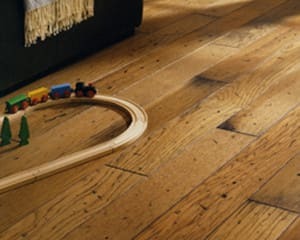 Engineered wood floors were soon invented. Adaptability: You can use engineered flooring anywhere in your home from the basement to the loft. It’s generally more tolerant of high moisture levels and can be fitted where solid wood might rot or warp. Cost effective: It’s more affordable than solid wood and longer lasting than laminate. Engineered floors can last for decades and can be refinished several times to ensure that beautiful surface stays looking like the day it was installed. Real: The surface is real wood. It feels and looks authentic because it is. It’s also quite thick and retains tension and hardness – particularly if you’ve selected an exotic hardwood surface. You still benefit from the physical properties of wood and its textures. 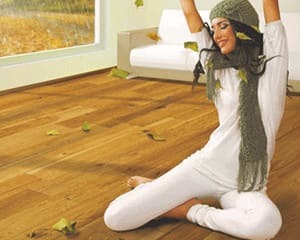 Your floor will still feel warm underfoot and you can see the grain and grooves of the natural timber. Installation is almost as easy as laminate! These days many engineered floors have a tongue and groove system that accurately connects each strip. It can easily be fitted over an existing floor or laid onto other materials such as concrete. 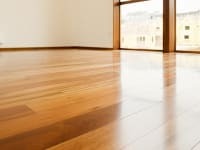 If you’re considering an exotic hardwood floor, and there are plenty of good reasons that you should, then you’ll be pleased to know that engineered wood floors use much less original wood than solid wood floors. This gives the plantations more time to grow their hardwood trees and maintain a sustainable supply for the foreseeable future. Once dedicated homeowners have realised the benefits of engineered wood floors the next question is naturally – which wood? This usually means the choice between exotic hardwoods and more common timbers. 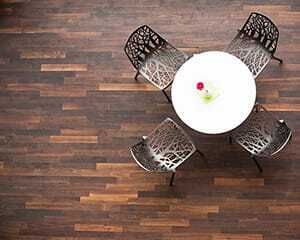 The benefits of engineered exotic wood floors are straightforward. They look fantastic and they are harder wearing. Good-looking: Exotic wood floors look wonderful because the grain of the wood is often both complex in design and rich in colour. 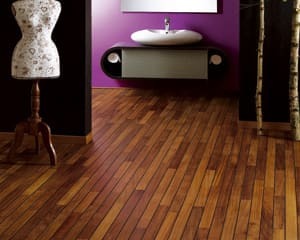 There is nothing uniform or boring about an exotic wood floor. 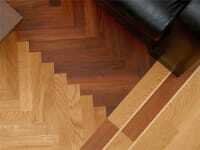 Hardwearing: Exotic woods are almost always hardwoods and as the name suggests, they are wonderfully resistant to use. Practical: In addition to being hardwearing, many exotic hardwoods are also naturally water resistant which, when combined with the engineered manufacturing process, means that they can also be used in areas such as kitchens and bathrooms. The benefits of engineered exotic wood floors are clear. A great variety to choose from is just one more benefit worth thinking about. There are over 25 different species to choose from each with its own beauty and character. We hope that this article has been helpful in guiding you through your choices.